On Saturday, March 25, 8 PM, at NEC's Jordan Hall, celebrated pianist Meng-Chieh Liu 劉孟捷, together with the renowned Borromeo String Quartet will join the Forbidden City Chamber Orchestra 紫禁城室內樂團to perform a program that covers from an ancient tune of the Han Dynasty, to world premier works by award winning Chinese composer Xiaogang Ye葉小綱and Eli Marshall. 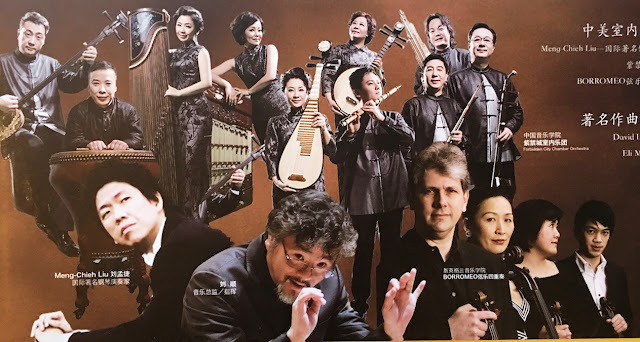 Established in 2008, the Forbidden City Chamber Orchestra, form China Conservatory of Music, is composed of eleven classically trained musicians, which interpret elements of Chinese traditional music. They have appeared and received critical acclaim worldwide and is remarked as “the embodiment of the elegance of Chinese traditional and the charm of contemporary music.” Tickets and other details at www.ChinesePerformingArts.net. Rush tickets $10 for students and senior, available 6:30 pm on concert day at Jordan Hall Box Office only, 617-585-1260.
and the Philadelphia Musical Fund Society Career Advancement Award.